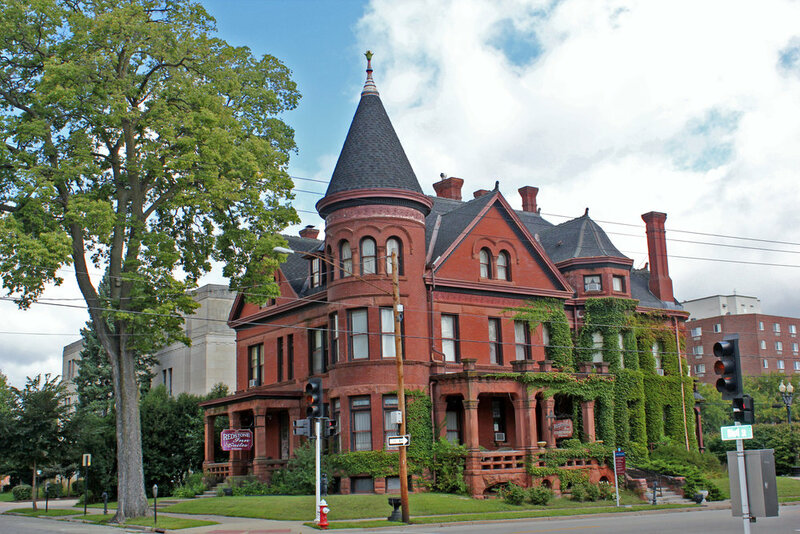 Numerous older homes in this area, some being restored. 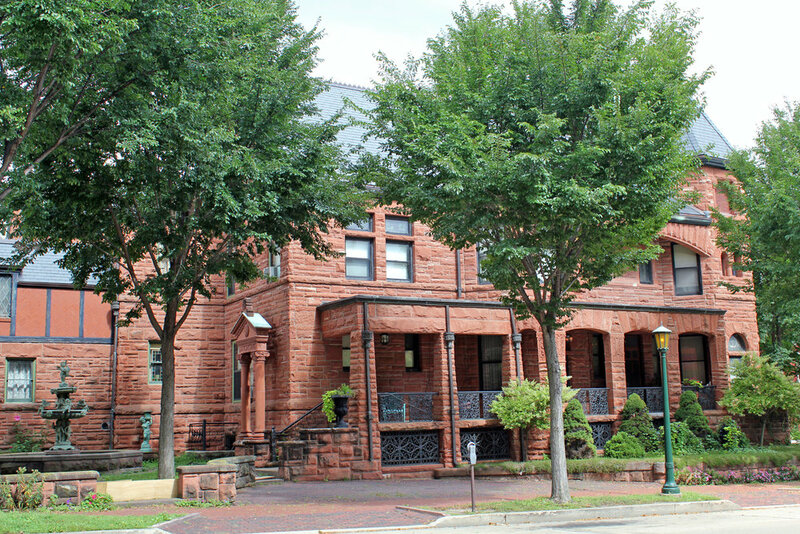 The Fannie Stout home is directly across from Carnegie Stout library. 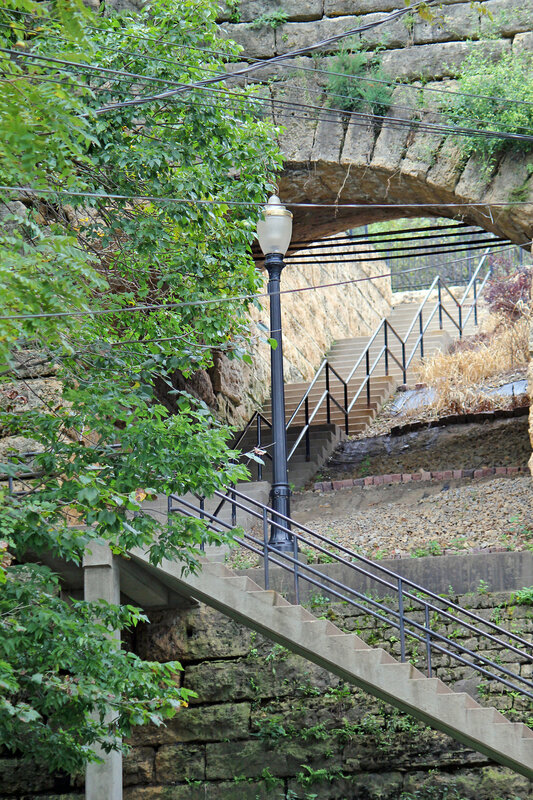 The staircase leads to a historic residential neighborhood on the Bluffs. Food: Near many Main Street restaurants. A favorite of the Au is Jitters Coffeehouse on Main near 11th. Many older buildings in this area, including houses and storefronts. Also home to 4th St Elevator. Check the alleys.